¡Ven a comer! 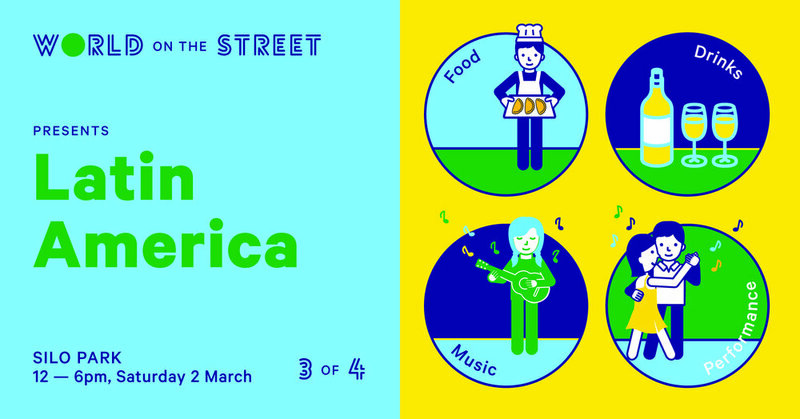 Part Three of World on the Street is sure to be muy bueno with food and entertainment from Latin America! The home of some of the food that revolutionised our palate, with exciting flavour combos including chilli, chocolate and tomatoes! The bar will be creating amazing themed drinks and we will also have latin inspired tunes to please your earbuds. Put down your passport, and head to Silo Park - the cheapest way to experience Latin America. Check out the other World on the Streets!